What goes up must come down, and in 2018 it appears that the beat has dropped through the floor. Electronic dance music, better known amongst its participants as EDM, seems to have most certainly overstayed its welcome in the popular music scene, especially on the festival circuit. A brief glance at most of the big name festival lineups which have been dropping lately only serves to confirm this. Coachella, Governors Ball, Bonnaroo, and Firefly, though never solely dedicated to EDM, have rebelled even further against the sound that once swept the globe with their lineups this year. Almost everywhere you look there is a dearth of electronic-oriented music at mainstream festivals, and even the old guard is starting to struggle. 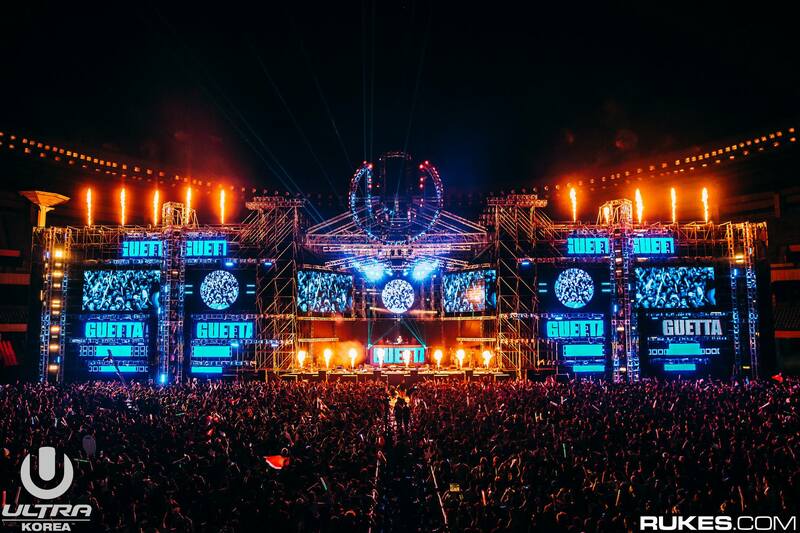 Ultra Miami, arguably one of the premier EDM festivals in the world, has been struggling to match the highs achieved in previous years, and even as far back as 2018 music writers were noticing that "one eve of Ultra Music Festival, the dance-music craze is slowing down". TomorrowWorld, the U.S.-based sister festival to the Belgian Tomorrowland festival, shut its gates after the 2015 season, and while a comeback has been hinted at for 2018, there's little talk or buzz about the possibility. All of this, it seems, happened overnight, but if you begin to peel back the layers, EDM as a genre, much less a commercial experience, was doomed from the start. The writing was on the walls back around 2012 and 2013, but the omen became much more tangible when SFX Entertainment, the entertainment conglomerate that managed events such as TomorrowWorld and Electric Zoo, filed for bankruptcy in 2016. The company has since rebranded itself as LiveStyle and brought on a new CEO, but its initial downfall was emblematic of the larger problem facing the EDM scene as a whole. EDM, despite all the glitz and glamour on the surface, had become a swollen, top-heavy, and ultimately unsustainable beast. Rave culture, once very much an outsider's arena, had become mainstream around 2005-2008 depending on who you ask, and thus susceptible to unchecked growth and speculation. Promoters and organizers only saw dollar signs, while ignoring the signs pointing toward a crash. DJs and producers that once were lucky to play a few residencies at nightclubs in Europe were suddenly being handed blank checks, with the incentive to keep the beats coming and the money machine moving. Calvin Harris could easily pull in $400,000 for a set in Las Vegas, while his peers and imitators could still command six-figure sums. In the end, EDM, like so many niche genres before it, reached peak saturation and started to become a farce of itself. In an effort to keep up, producers and artists started delivering on quantity and not quantity, debasing the value of the festival experience, and further homogenizing a sound that never even really had time to evolve. Ask 100 people what EDM sounds like and you'll probably get 100 different answers. It's not quite house, not quite trance or dubstep, but it is a little of all of them, except not quite. While trance will never die in Goa, and drum n' bass and jungle will thrive in warehouse raves across the U.K., EDM outgrew its niche without finding itself first, leading customers to ask, "who wants to pay several hundred dollars to essentially see the same artist six times in a row"? Of course, no discussion on the state of EDM is complete without bringing up its white rhino, the scene's pervasive drug culture and the deaths that have come with it. EDM seems disproportionately affected by drug use and deaths, and in 2016 there were 17 drug-related deaths and more than 100 overdoses at EDM festivals around the world. While it's more speculative than factual, one could hazard a guess that a scene predicated on overconsumption and hedonism would eventually drive its participants away over time. That is not to say that EDM has been completely run out of popular music culture, indeed, the opposite seems to be happening. Instead of fading into obscurity, elements of EDM are surviving by being absorbed into pop music and hip-hop/rap. Their names might not be on the bill for the festivals, but EDM's influence is still felt in modern music. It's just that the days of grinding your teeth into dust to Ingrosso for eight hours might be over. Quote: . EDM seems disproportionately affected by drug use and deaths, and in 2016 there were 17 drug-related deaths and more than 100 overdoses at EDM festivals around the world. how many people attended EDM festivals in 2016? Corporate America does it again. Replace the letters "EDM" with "UFC" and it's the exact same story, even the years of going mainstream and decline are the same. Good evening followers, it's The Prophet here, back from his hiatus and back to hold the Electronic Music Industry to rights, and The Prophet must again reiterate, your opinion is wrong, irrelevant, and sounds like white noise whistling in his ears. Anyway, while The Prophet has been away it was revealed that the Electronic Music Industry is now worth $7.1 billion dollars, fabulous news apparently, except when you look at the small print, it's actually the smallest growth in comparison to the previous three year, which means...The EDM bubble has burst. The American love affair with EDM is over. News of Calvin Harris' new album has barely made a ripple on the musical radar, which is even worse considering it has guest appearances from just about everyone (no Taylor Swift funnily enough). Calvin Harris will survive though, because he existed before the EDM gravy train arrived, Tiesto as well, one of the hardest working DJ's in the business, will have no worries. this is just sad. wow.